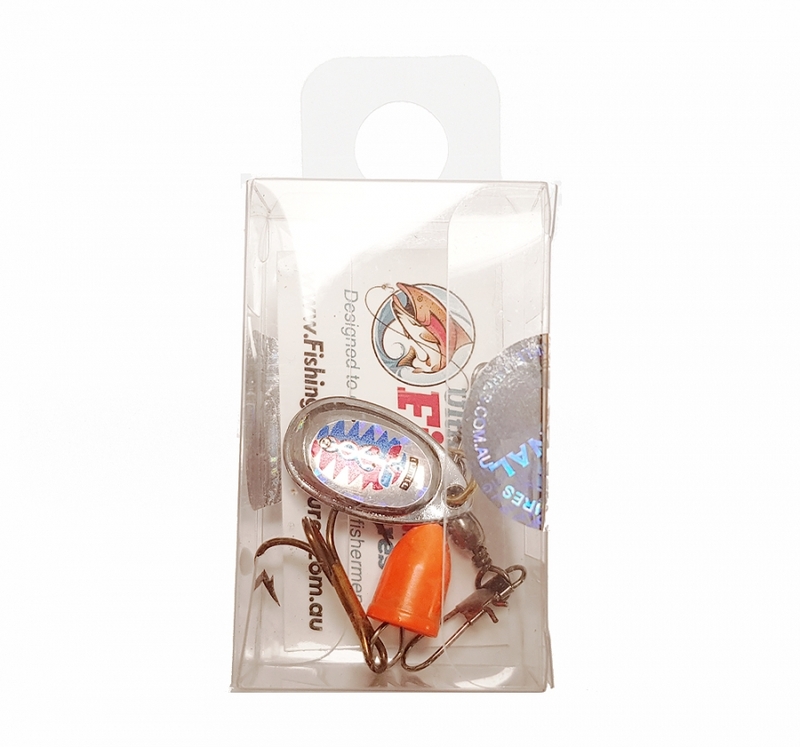 3.5 gram spin lure with strong vibrating action, exceptionally good for trout and redfin fishing. A good all round spin lure that will handle most spin rods provided they are light weight and have high flexibility. 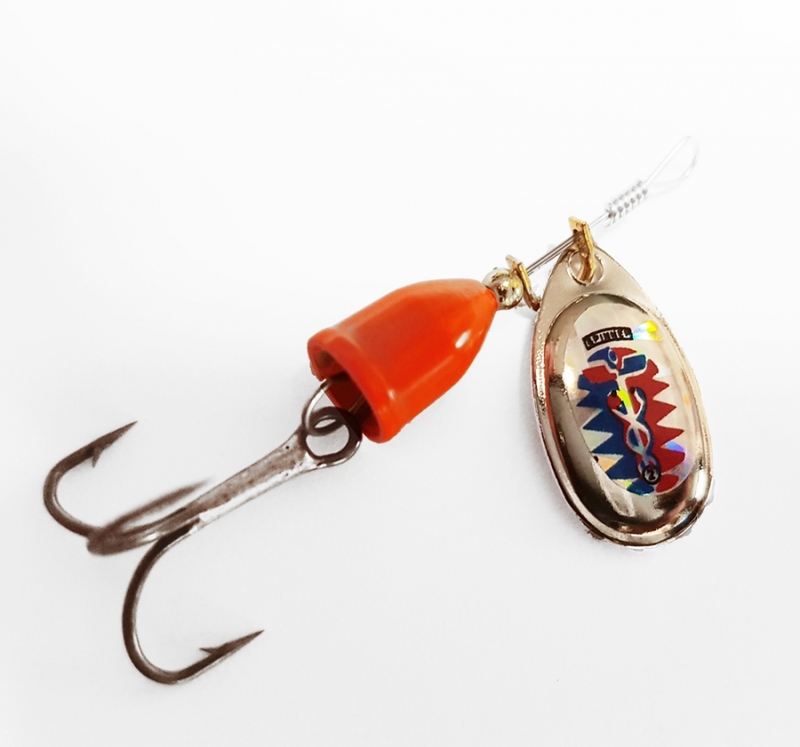 The center of the lure is Yellow, the lure blade is Silver with a design pattern containing Red, Green and Yellow printed over a reflective surface to create what is known as rainbow iridescence as the blade spins.